Let’s say you’re getting started in affiliate marketing, but don’t know what’s worth promoting. You just want to find a bunch of programs that you can sign up to in your niche. Great. The blocked folder affiliate URLs are set to 302 redirect to the full ‘ugly’ external affiliate URL. Use the pretty links in blog posts with rel=”nofollow”. We can take advantage of this. Pick another blogger in your niche. Look in their robots.txt for the folder that sticks out like a sore thumb. Using this information, you can then crawl their site and filter to URLs contained in this subfolder. You now have a complete list of the products they’re promoting. Easy, but time consuming. 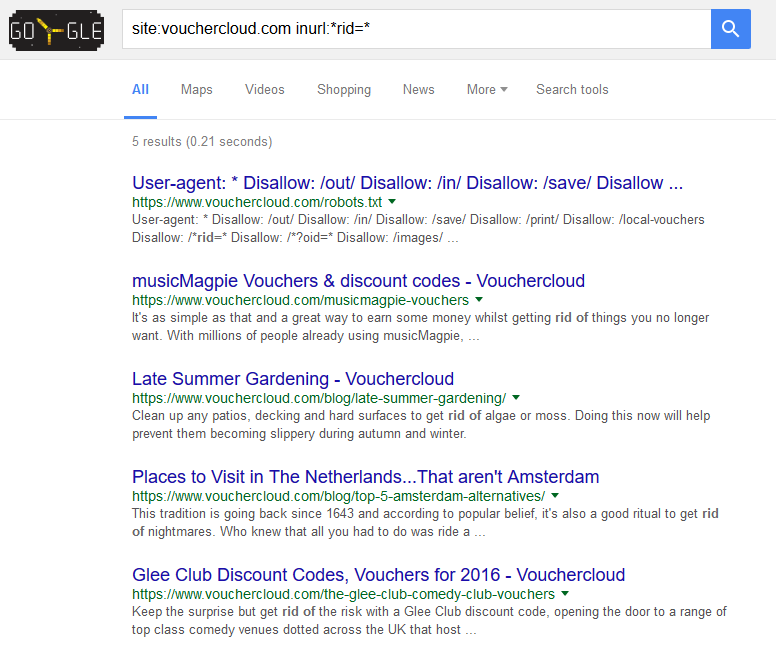 Internal links blocked by robots.txt, even if never crawled, get indexed. As the affiliate links reside in a single folder, a site:domain.com/folder/ search will reveal all of them. This site doesn’t exactly rake it in. 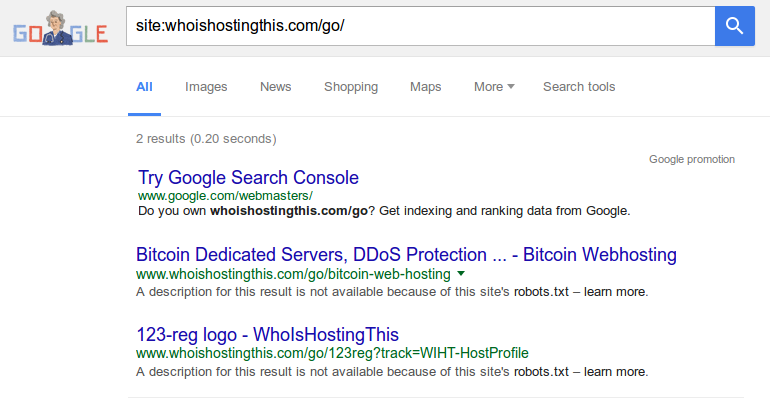 These are indexed despite always having been blocked by a robots.txt rule. Google is using the anchor text as it appears on site combined with sitename for a title, and not the page contents (as the page is simply a redirect). Get a list of URLs in this folder using Google. Let’s assume that you’re a blogger and you don’t want all your affiliate efforts this easily listed. What do you do? How long until none remain? I’ve since been using oldrobot.org to check when some of these restrictions come in on other, larger sites. This tool can be used as a general wayback-machine-diff-checker. It’s good. Some affiliates have been playing with this method for a while. For example, whoishostingthis implemented it just over a year ago (June 12th 2015). Now only two of these URLs are included in the index. A quick look at the site reveals that the site has just over 200 of these unique offer URLs at crawl. Up to 99% de-indexation would be incredible, but it may be a less impressive case of preventing indexation rather than reversing it. As you’re more likely to be reading this in the future than on the day of publication, you can test this here. I’m guessing it’s fallen further. The page gets good crawl priority so it’s an OK test. 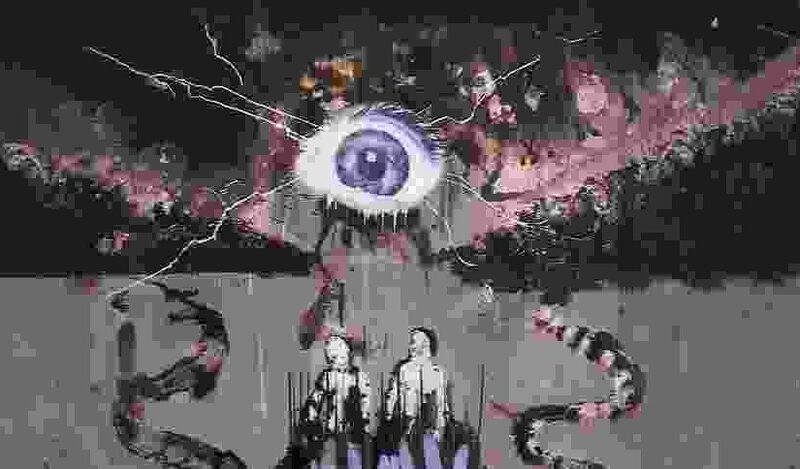 As this is a live test, you can check it out yourself now. If the page ‘robots.txt noindex does not stop indexation‘ appears (is indexed), then you can be pretty sure that robots.txt noindex does not stop indexation. So far – yes, it prevents indexation. 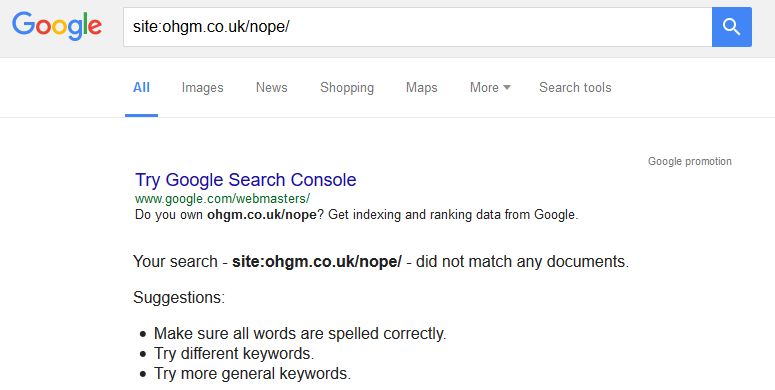 If this remains true, you should pair up new disallowed parameters with robots.txt noindex rules. Again, it’s a live test and you can test it here. 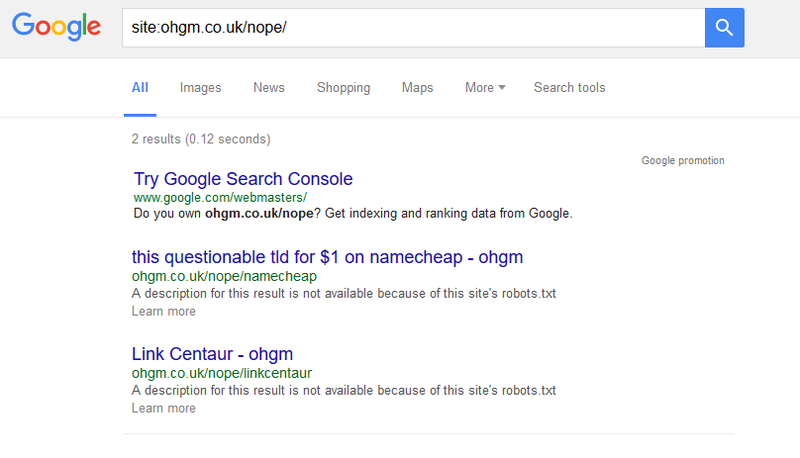 Please comment if it’s no longer true and blocked offers are appearing in SERPS. There’s reason to be skeptical regarding the reported indexation figures, but I’m pretty convinced that the robots.txt noindex directive works (very slowly). I also don’t want to wait another ~230 days until they’re all out of the index so I can write about it, so this may be a factor in my attitude. I also think to rate of deindexation will slow further so they’ll never all be out, but it’s nice to have something to revisit. If we’re still thinking about protecting our affiliate products from being uncovered, I don’t think getting these removed from the index is of any benefit, and it may encourage crawling from the people who aren’t dissuaded by the first hurdle and just want the information. I’m more excited about the possibility of preventing new crawl-restricted structures from appearing in the index at all. This is awesome! 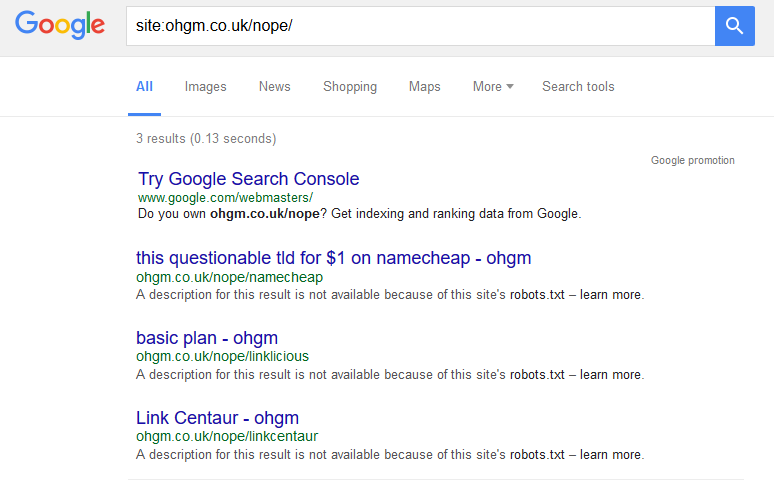 I never knew you could use robots.txt to noindex pages. I recommend using normal noindex though because John Mueller says it’s not recommended.